4-H Ham Auction | Lincoln Days Celebration, Inc.
LaRue County’s 4-H Program will present a live auction of student-cured hams during Lincoln Days. There will be 26 hams up for auction. LaRue County 4-Hers utilized their own ham house located at the Extension Office. Each participant is allowed to sell one of the two hams they cured. The opening bid will be $35 which covers the cost of that ham. Bids over that amount will go 80 percent to the participant and 20 percent to the country ham project. 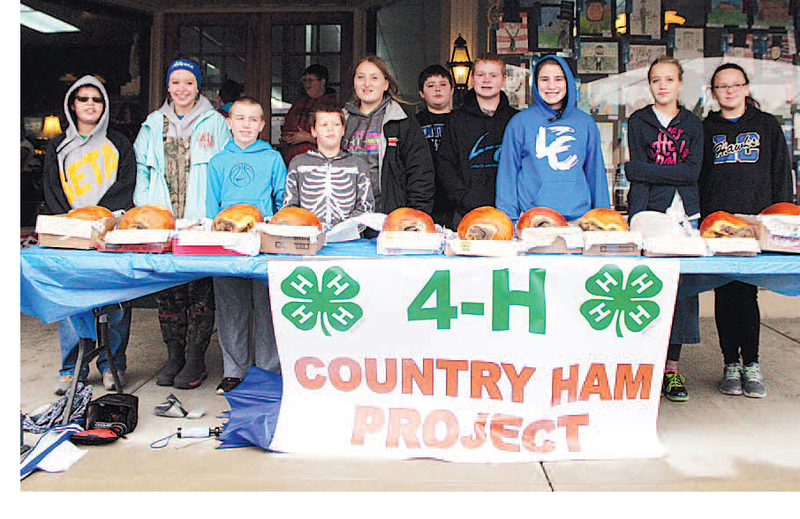 The 4-Hers will continue the Country Ham project next year and the auction money will help pay their ham fee. The hams will all be on display just before the auction. Any questions, please contact Misty Wilmoth at 270-358-3401.